Steve trained at Monash University until 2004 when he began his career as a screen actor. His film and television credits include Queen Of The Damned, The Hard Word, Offspring, Tangle, City Homicide, Bogan Pride, Neighbours, The Wedge, Marshall Law, Stingers, Blue Heelers and Saddle Club. A relative newcomer to the musical theatre stage, Steve has trained extensively in voice with Tim Smith, in New York with Neil Semer and at Broadway Dance Centre. He has also completed further dance training at The Space and City Dance Centre in Melbourne. 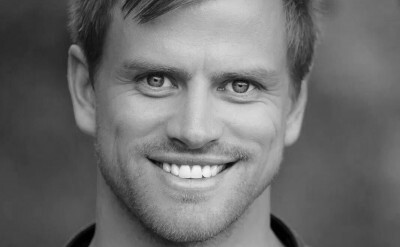 Steve has just completed the Australian tour of Legally Blonde the Musical (2012-13), where he appeared in the role of Pfortzheimer and understudied the roles of Warner and Kyle the UPS guy, which he performed numerous times. Other theatre credits include Xanadu The Musical understudying the lead role of Sonny Malone. He toured with Echelon Productions in Totally Amazing and appeared in The Crucible (Gyles Corey) for Monash University, as well as Among the Gum and Its All Good Fun for Wax Acts Theatre Company Steve has appeared in numerous televised and corporate events including the 2011 Precious Myer Metal Ball, singing live with Olivia Newton John and Christie Whelan. He also appeared in the Channel 9 live telecast of the Sydney New Years Eve Celebrations 2012, and the 2012 Woolworths Carols in the Domain. It is a dream come true for Steve to have been selected to join the cast of Wicked and have the opportunity to perform one of his dream roles as Fiyero! Steve would like to thank his family and friends for their unwavering support and belief, also his agent Michael Montgomery and all the team at Warehouse 16. Steve is a proud member of Actors Equity.